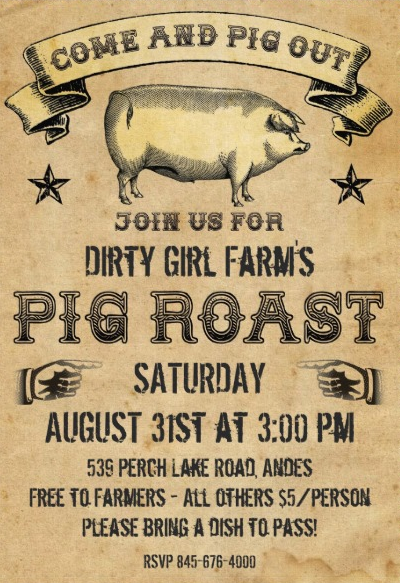 Dirty Girl Farm Pig Roast on Saturday! | Andes Works! Image | This entry was posted in Agriculture, Amazing People, Andes, Community, Events, Fun, Local Business, Our Neighbors, Recreation and tagged Andes, Dirty Girl Farm. Bookmark the permalink.